When it comes to wildlife, animals tend to hog the attention. But now it’s time for birds to get a slice of the pie. Or do we mean a peck at the bird-seed? Birds are smart, weird, cute: all the things that animals are. Plus – oh the envy – they can FLY! (Unless they’re penguins, of course.) 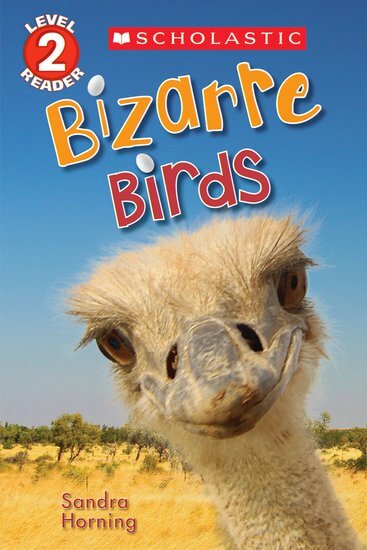 So get the lowdown on birds, from tiny hummingbirds to odd ostriches, cheeky parrots and adorable puffins. Birds that sound like chainsaws, birds so big they can eat crocodiles, and even a bird that smells like cow poo! How’s that for bizarre? NC600L Lexiles are the global standard in reading assessment. They are unique as they are able to measure a child and a book on the same scale – ensuring the right book gets to the right child at the right time.